Hello again! I hope everyone had a Merry Christmas and a Happy New Year! I spent some time with family over the holidays so this update will be a bit smaller than usual, but I’ve continued to make good progress on the upgrade to Godot 3.0. Continue reading below for more information! 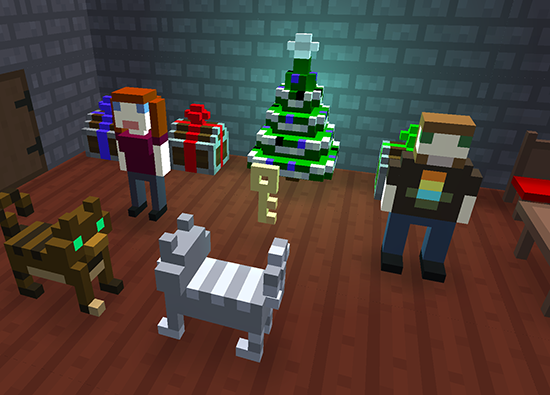 Before the holidays, I finished up some work on the initial implementation of the new Voxel Editor. This included adding a cursor and various tweaks and bug fixes for existing features. I still have a lot of ideas for additional features to include, but those will be added later on once I get further along with the other editors. The “Game Configuration” dialog was added into the new version in preparation of game exporting. I’ve added a new “Gameplay” section that will be a place where you can go to customize various aspects of your game’s style (camera, controls, mechanics, etc.). The existing “Camera Type” setting will be moved into this section. 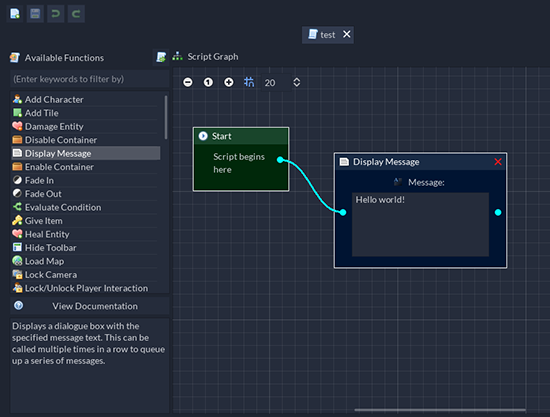 I’ve also made some great progress on the new Script Editor over the past week. A lot of the base functionality is now working, so most of what remains is implementing the visual nodes for each individual function. To help accommodate smaller display resolutions, and for better usability in general, I modified the “Model Properties” panel to be scrollable. This will be particularly useful for character properties due to the larger number of fields that can be edited. I’ll be taking somewhat of a break from social media over the next few months so I can focus more on development and getting through the upgrade to Godot 3.0. I still plan to post some small updates here and there, though.